Check out these before & after pics of one of our clients who was frustrated with her frizzy hair. She is a very busy professional and really wanted to have smooth, easy to manage hair. 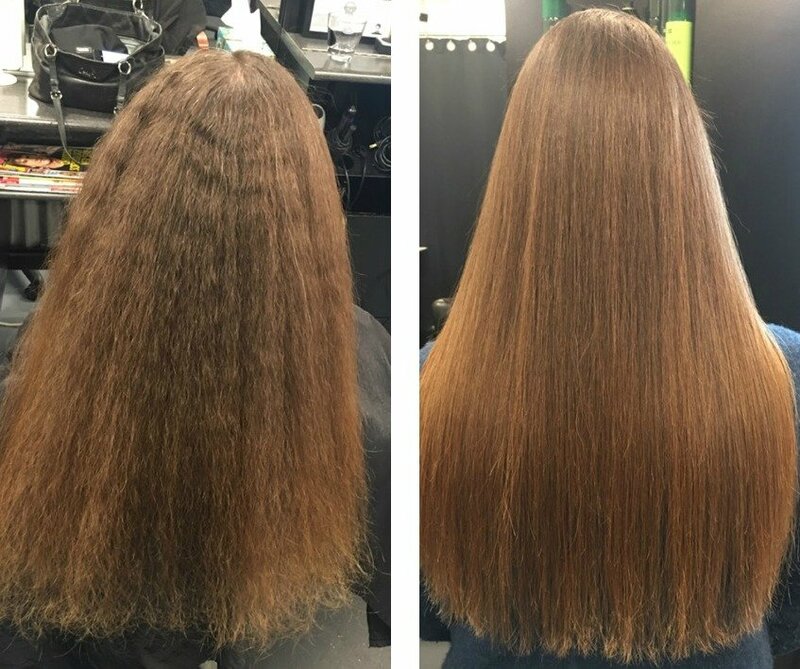 We recommended the keratin smoothing treatment service and the results speak for themselves. Whether you have a little frizz or a lot, we offer several different types and strengths of treatments. Let one of our team members examine your hair and help you with the perfect recommendation to revitalize your hair. Consultations are always free. Please call to schedule your complementary appointment at 831-429-6600. Check out her before and after pics below. There are no styling products in her hair.